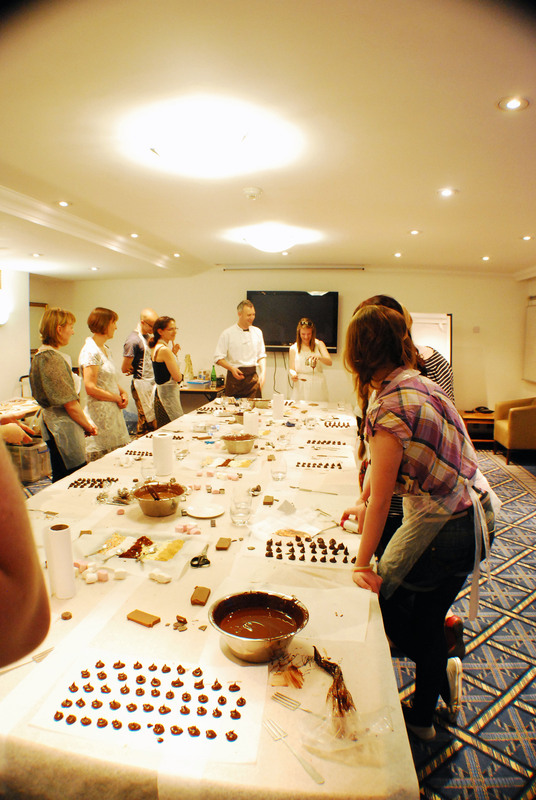 Today was the day that Mr CC and I went on our chocolate workshop in Brighton, run by Mychocolate. 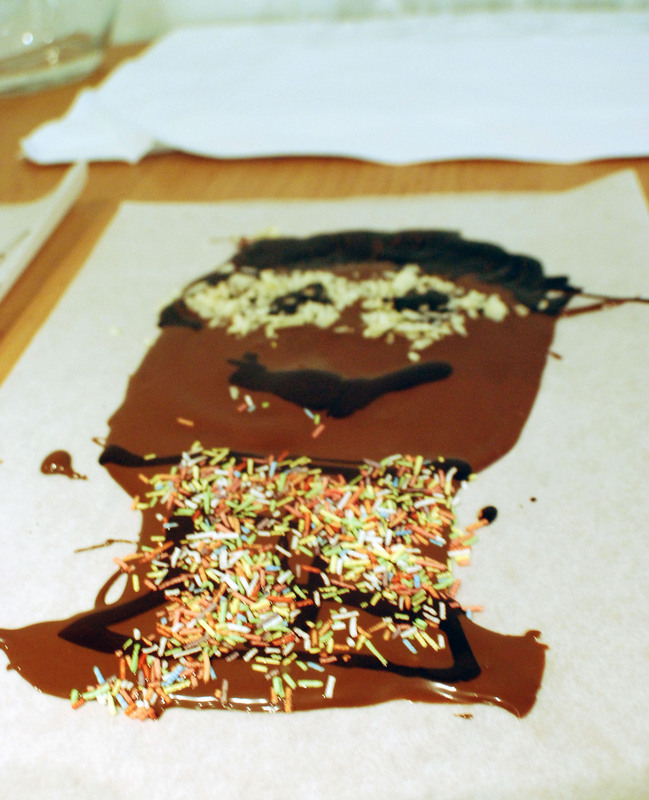 After a long drive in the boiling heat, I was fairly sure that doing chocolate work in this weather would be madness. 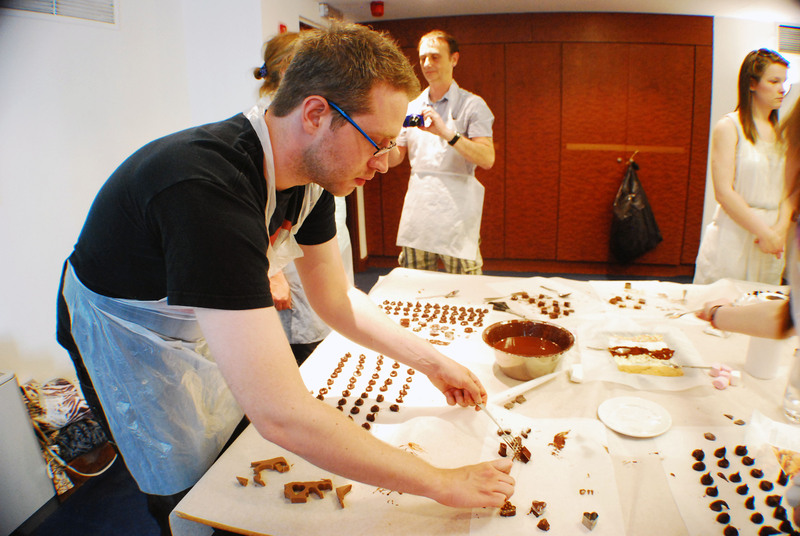 However, luckily it was quite cool in the room we were in, even if it did still take ages for the chocolates to set! There were quite a lot of us there, but loads of chocolate to go round. Huge bowls of Green and Blacks. It was a fun few hours, but I did already know a lot of what was taught. 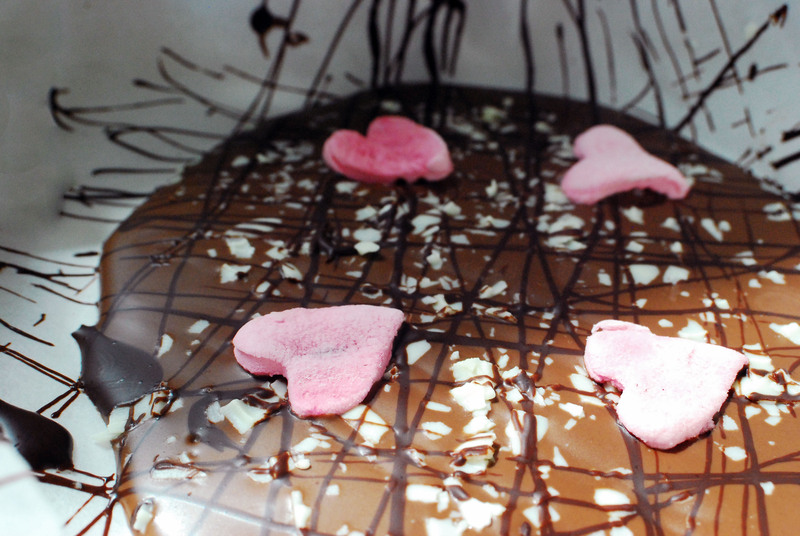 Plus everyone was watching me while I piped out chocolate truffles, as I was able to do it quickly and with one hand…being a cake maker comes in handy!! Bit embarrassing though haha. So it was a lovely day, good fun and now we’re in for a lovely relaxing evening. Tomorrow I have a wedding fair at Blackstock Barn, in Hellingly, which I think should be a great day, especially if the weather continues to be this good.